Hydro-Québec (Montréal, Canada) and Dongshi Kingpower Science and Technology Ltd. (China) this week announced the signing of a licensing agreement for the use of patents related to solid-state lithium batteries. 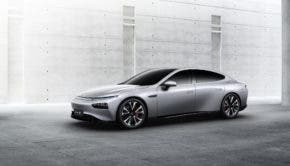 The agreement gives Kingpower the use of solid-state battery technology developed by Hydro-Québec, which Dongshi would produce for the Chinese automotive market. “The signing of this license will allow a technology developed in Québec to promote the electrification of transportation while taking advantage of the rapid growth of this sector in China,” said Karim Zaghib, General Director, Center of Excellence in Transportation Electrification and Energy Storage at Hydro-Québec. Solid-state batteries are widely seen as the future for electric vehicles since they offer double the energy density (or even better) and are much safer than lithium-ion batteries, which means less money put into battery packaging and safety measures. Kingpower will start with a pilot assembly line at its factory, and Hydro-Québec will collaborate on that. “Electric vehicles are a revolution in the global automobile industry. Batteries are a core technology at the heart of this revolution. Developing electric vehicles provides an opportunity for China to compete on this burgeoning global market and the keys to winning this competition are technological innovation and the battery,” said Tiancheng Zhu, President, Dongshi Kingpower Science and Technology Ltd. The Québec government and Hydro-Québec are helping many electrical transportation sector startups in Québec (TM4, Lion, and Addénergie, to name a few). The Québec government’s delegation in China is a very good sign. Québec has 99% renewable energy and a ZEV mandate that just started in January 2018, which will help the province reach its 100,000 EV target by 2020. Province-wide EV charging infrastructure powered by Hydro-Québec’s Le Circuit Électrique is another sign of optimism and leadership. Provincial EV subsidies for new (up to $8,000) and used ($4,000) EVs are also a big booster. In the ICE world, Québec builds planes, helicopters, trains, subways, trucks, snowmobiles, etc. Basically, everything that moves except automobiles. Since Québec imports all of its oil and all of its cars, it is in the province’s financial and environmental interest to start producing its own electric vehicles. China is positioned to be the world leader in EV production. It is looking to find partners that are China friendly to build EVs in North America. Since the trend is now reopening shuttered automobile plants, it would be great to see a Chinese EV company reopening the Hyundai Bromont plant? What better place than Québec to Build Your Dream. 😉 BYD?